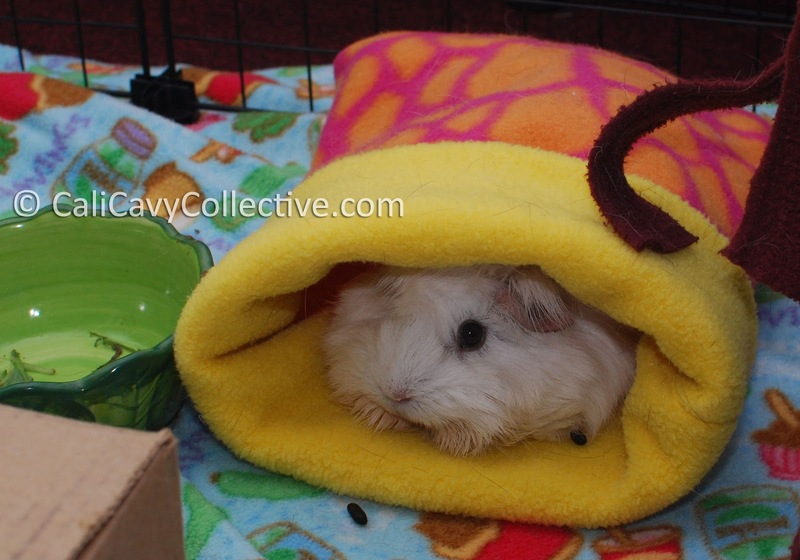 Many guinea pigs enjoy using their cozies like sleeping bags, tucking themselves into the warm fleecy pocket. This is how Abby-Roo prefers to hunker down for a snooze. 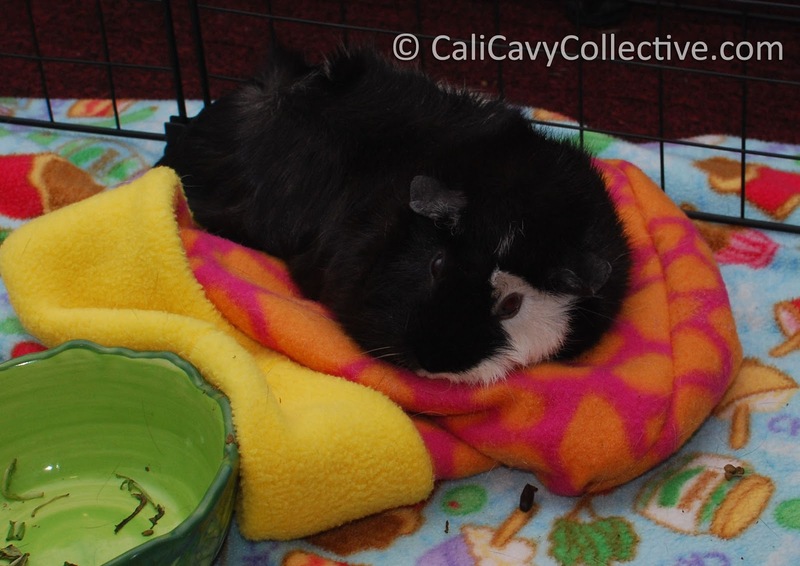 Unfortunately for Abby-Roo, Revy is in the habit of sprawling her 1260 gram self out on top of any cozies - whether they happen to be occupied or not. Squeaky grumbling about forcible eviction ensues while the former sets up camp in a location less likely to be affected by a roofing collapse. The solution to this piggy housing problem? Provide more cozies, obviously. So funny! I love silly piggies!